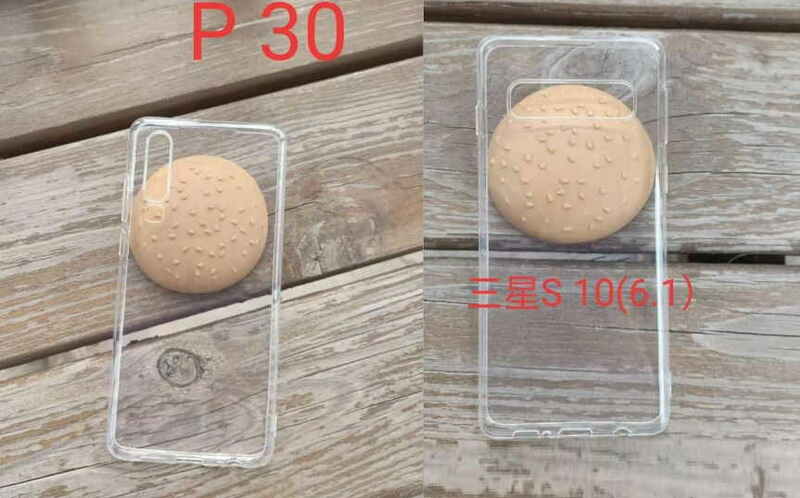 Now the new transparent protective case of the Galaxy S10 devices has been leaked again and sahred by Twitter source Ice universe along with Huawei’s P30 case. Based on earlier renders of Galaxy S10 devices, we already know that how the new Galaxy devices will actually look like and we also have a better picture of the camera placement on the device. However, for the upcoming Huawei P30 and P30 Pro, we now have our first look that, how the two devices will actually look like and what would be the camera placement on the devices. The Huawei P30 protective case appears have placement for a vertically staged triple rear camera setup with LED flashlight. There also appears to be USB Type-C port, 3.5mm headphone jack, and a volume rocker and power keys. On the other hand, Huawei P30 Pro case appears have a triple or maybe four camera setup on the rear along with Dual LED flash. There also appears to be 3.5mm headphone jack above the fold and a USB Type-C port at the bottom. The new Galaxy devices are expected to launch early next year, maybe in January or February. However, we don’t any official information on the launch date of the Huawei P30 and P30 Pro.